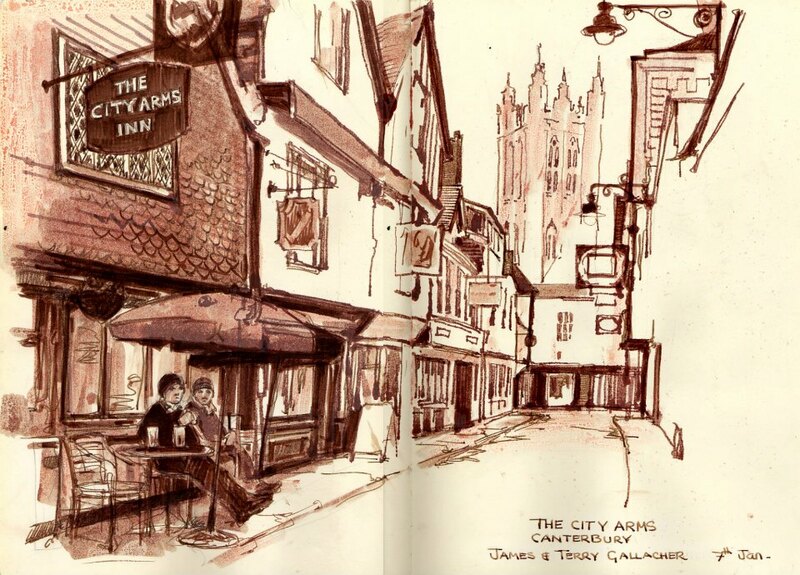 The City Arms Inn is another of my favorite Canterbury bars. It's in a 15th century building, and the pub has been around for over 300 years. The two lads outside asked me to put them in the drawing, James and Terry Gallacher, all the way from bonnie Scotland.